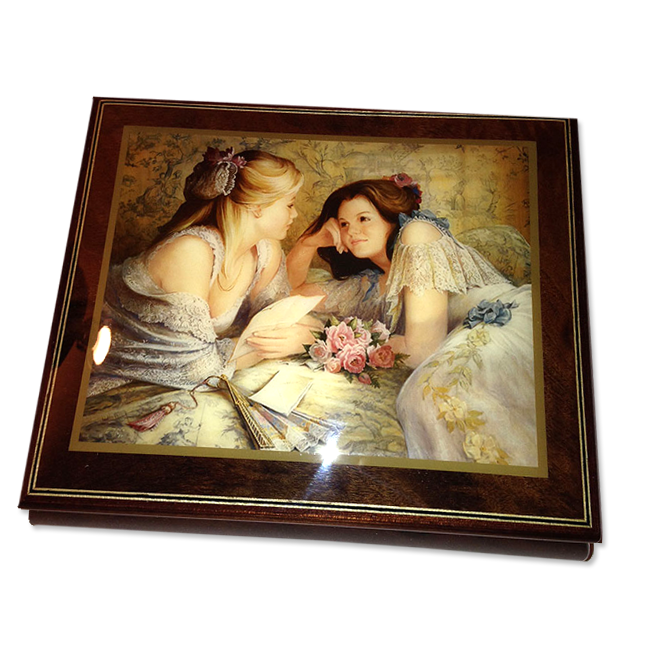 A limited edition music box made of genuine mahagony. 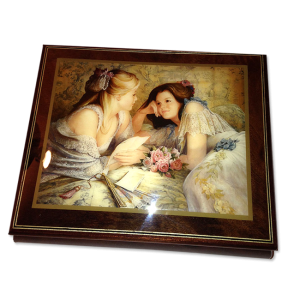 The box has a natural finish to compliment the painting. It is lined with plush velvet and has a compartment for jewelry. Glossy finish. Choose a musical tune from our list below. Size: 7 1/2" x 6 1/2"